Kiwink by Rtone | Why is VLC going to revolutionise the maintenance process? 31 Aug Why is VLC going to revolutionise the maintenance process? VLC, or Visible Light Communication, can be considered as a version of LiFi with much more modest speeds. While high-speed light communication will be standard in a few years, it is already possible to integrate this technology into products that already have an LED. This is what Rtone offers with its Kiwink technology, which uses bidirectional VLC to enable exchanges of data between a smartphone and any device equipped with an LED. The smartphone becomes the central element in the maintenance process. Integrating Kiwink communication into a product simplifies its commissioning phase. No more long minutes spent configuring the equipment using a keyboard with a limited number of keys and a screen whose visual comfort leaves much to be desired. With Kiwink, a user-friendly mobile app is provided to help with commissioning, also providing easy access to the instructions. 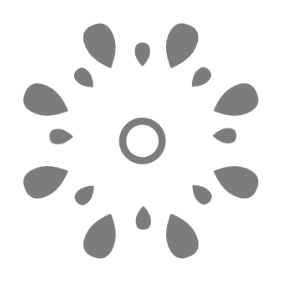 Once the parameters have been entered into the app, all the commissioning technician has to do is point the flash on the phone towards the product’s LED to transfer them. If the set-up has to be repeated for several products, the commissioning process is greatly optimised. Faster, cheaper commissioning. Kiwink can also be used to define specific behaviour to expect if the product develops a fault (corresponding to a sequence of operations) and can thus raise the alarm if a fault occurs. The product’s LED will flash according to predefined sequence to report that it is out of service. Using an initial sequence of flashes emitted by the smartphone, the associated mobile app enables the customer to request the fault number, which is then reported in real time to the after-sales service team and determines the response. With a second sequence flashed by the smartphone, the app can then ask the product for further information (history, specific counters, usage behaviour etc. ), which is also reported in real time to the relevant service team. This optimises the diagnosis. Thanks to the reporting of information about the most recent hours/minutes of operation, the product quality and marketing teams have access to a whole collection of strategic data. Analysing this data makes it possible to discover potential epidemic faults, design defects, software bugs etc. In addition, if the data reported contains information on usage behaviour, the marketing teams will appreciate understanding which functions are most and least used and being able to plan future product releases accordingly. The diagnostic phase being carried out by the product’s user and the reporting of the fault number to the after-sales service team provide the maintenance staff with additional information before their intervention on site. Scheduling a single trip to the site accelerates and optimises the maintenance team’s intervention, as they can arrive with prior knowledge of the fault and with the necessary spare parts. If the product has to be returned to the factory for repair, maintenance scheduling can be optimised thanks to the early availability of information such as the product’s serial number, the fault type, the parts required etc. Kiwink simplifies the electronic hardware of the products that incorporate it. The screen on the product is replaced by the smartphone’s screen. The same applies to the keyboard. According to product fault analysis statistics, these two components are among the main causes of faults. Removing them reduces the risk of faults. By removing the costs associated with the keyboard and screen, the cost price of the product is correspondingly lowered. The additional costs of integrating Kiwink are limited to two electronic components with a cost below 20 cents. As well as the component costs, the internal costs of supplies, storage, searching for components and managing suppliers are all eliminated. It can also be useful to consider whether the technology being used is overspecified for its planned use if your product already uses a means of communication to report information. 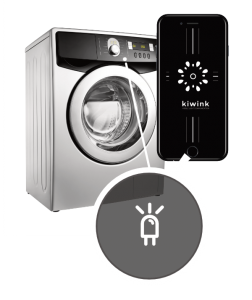 Functions such as NFC, Bluetooth and Wi-Fi all represent component costs of several euros, which can be saved if Kiwink provides the same functions with the same level of performance. 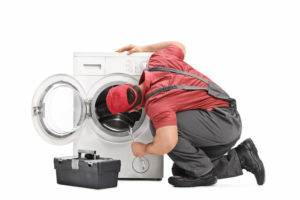 Using existing components, Kiwink, and VLC more generally, can connect your equipment in order to improve, facilitate and optimise the maintenance and after-sales service process.